Thank you to everyone who chimed in on our post regarding reluctant readers. I enjoyed reading your responses and questions. As discussed, one of the best ways to encourage children in their literary development is to make time to read aloud as a family. Not only is this great for children's intellectual development, it adds a dimension to family time that can easily be lost in the hustle and bustle of every day life. While families often spend a lot of time together, especially as home schoolers, much of that time is spent doing the necessities of every day. By purposely setting aside time to read as a family, you are affirming the importance of engaging together. Sharing stories is also a wonderful way to create discussion. Children often have the most wonderful observations! Hearing what a child thinks about a story gives you a window into how his mind works. And stories provide wonderful teaching opportunities where a parent is able to engage with his children and talk through moral issues. Sometimes it can feel like the only time one is able to teach a child a lesson is when the child has messed up. How refreshing to be able to read wonderful stories together and talk through issues of character in a supportive setting! Another benefit of reading aloud is the bonding that takes place between those involved. My dad read aloud to my siblings and me nearly every night while we were growing up. Sometimes we read hilarious books that would have us all laughing. Other times we were making our way through serious stories when suddenly my dad would interject something funny and it would catch us all off guard. There were many nights when we would beg for another chapter as we simply could not wait until the next night to hear what happened. These moments became the center of our family. On those difficult days faced by every family when nothing seems to go right, having this quiet hour to be together was an essential touchpoint for each of us. Instead of being bombarded by the terrible news on TV, we nestled into the security of one another's company. Instead of hearing about war and famine and death from jaded newscasters we explored Africa through the eyes of Dr. Livingstone, traveled the fantastic worlds of C. S. Lewis, time traveled to the Wild West with Ralph Moody, learned what it was like to be homeless in Paris in The Family Under the Bridge, grew up in Pearl Buck's China. For children growing up in a tiny, poor, gold-mining town in the Sierra Nevadas these literary voyages showed us a much bigger world. Sure, there were often times when one of us was antsy, distracted, or grouchy. 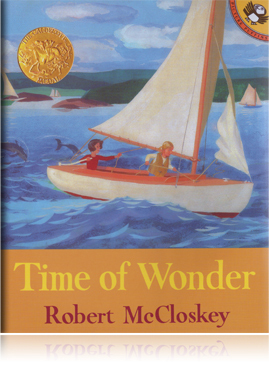 We also read some pretty disappointing books (to this day we cannot understand why The Swiss Family Robinson is such a beloved classic!) but I look back on those times so fondly. I am very grateful that it was a priority to my parents and I can still hear Pop's low voice - it's one of those childhood sounds I'll never forget. So, in honor of that, I want to share some of my personal favorites for family read-aloud time. Over the next week, we will look at classics, new finds, and more. I am going to divide them according to age and today, we will start with books for little ones. 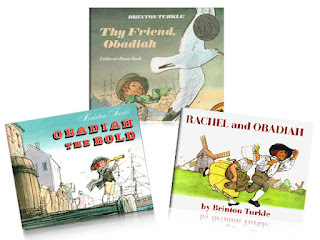 In respect of the fact that young children often want to read the same story aloud over and over, I am trying to include books that parent's will also find endearing, engaging, or entertaining. 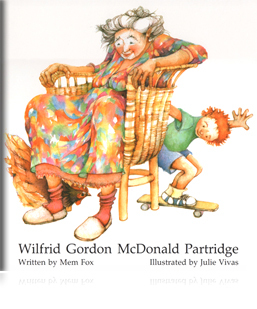 (All ages) Although I did not discover Wilfrid Gordon McDonald Partridge by Mem Fox until I was an adult, I have shared this with many of the young people in my life and it is one of my all-time favorites. An incredibly touching story illustrated with delicious watercolors by Julie Vivas, this book belongs on every child's bookshelf. 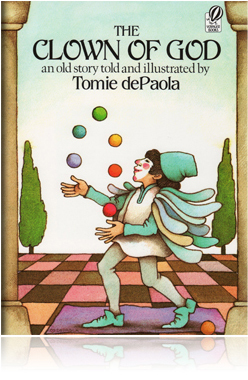 (Ages 3 and up) Tomie de Paola is one of the most popular children's authors, and for good reason. His stories are unique and intelligent and when paired with his whimsical illustrations, he delivers the whole package. 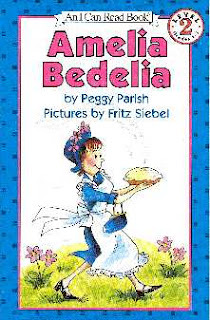 My favorite is The Clown of God and hisStrega Nona series is lovely. 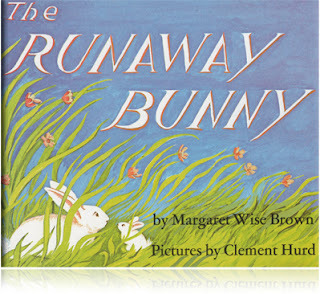 (Ages 3-7) As a young child I collected the Golden Books written and illustrated by Eloise Wilkins. While they may not be readily available at your local drugstore like they were when I was a kid, they're worth looking for at used book sales or checking for at your library. Her stories are simple and they do not stray far from every day life. Someone gave me The New Baby when my mom was expecting my little brother and it helped me understand what was happening and anticipate his arrival. Plus her paintings of chubby little children are so endearing. (Ages 2-5) Margaret Wise Brown's classics The Runaway Bunny and Goodnight Moon are probably already on your bookshelf. If you haven't read them in a while, pull them out again. While it may be difficult to be enchanted for the gazillionth time, these are very special books. Their cadence is perfect for bedtime and they are stories that portray a parent's love as wonderfully secure and safe. And, again, the pictures are gorgeous. 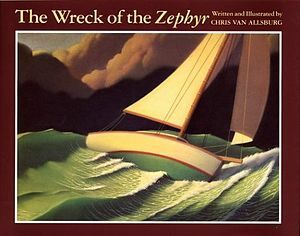 (Ages 5 and up) Chris Van Allsburg's wonderfully imaginative tales may have been my first introduction to fantasy. Whether we were hearing about sailboats that could fly to other lands as in The Wreck of the Zephyr or trespassing in the intimidating Garden of Abdul Gasazi, or rolling the dice in Jumanji, my siblings and I loved these stories. We got sucked into each wonderful adventure and even though we knew the endings very well after a few readings, these are the sorts of books that do not lose their thrill. In addition to the titles listed above, I also enjoyed The Polar Express. 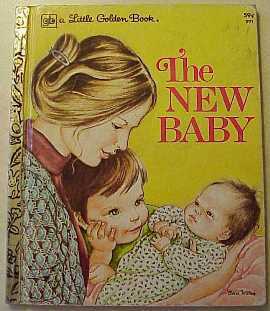 I find Van Allsburg's more recent titles a bit less accessible for children, but others may enjoy them. Additional authors I loved include A. A. Milne (stick with the original Pooh stories, they're brilliant and the Disney knockoffs do not come anywhere close), Margery Williams (The Velveteen Rabbit), Beatrix Potter, Dr. Seuss (of course! ), William Steig, Virginia Lee Burton, and Jan Brett. And there are many others! We are surrounded by a wealth of literature for young people and I hope this gives you some inspiration and direction. I would love to hear what books you recommend for reading aloud? Do you have favorites from your childhood? What are your family's favorites? I'll be back on Wednesday with titles for families with students who are a bit older.